Eleven years ago today, evil rose from the depths of hell. That evil had conjured a plan to take thousands of innocent lives and tear America apart. This plan was devised and deployed by cowards, Muslim extremists, people who are less than human, people who are true scum of the earth. On that day, they killed nearly 3,000 people from 115 countries. The had succeeded at their goal of death and destruction. However, these cowards did not count us Americans coming together. We donated blood, food, and money to those in need. We stood by our friends, family, neighbors and strangers, and held each others hands and prayed to God for guidance and hope. We showed them that they had failed in their diabolical plot, that we were strong and they were the weak, and we showed them the mighty force of the American military, and brought them to justice. Now more than ever we need to come together. It doesn’t matter your race or politics, we need to get back to that unity and strength we had on 9/12/2001. We at TheRevolutionary will never forget. 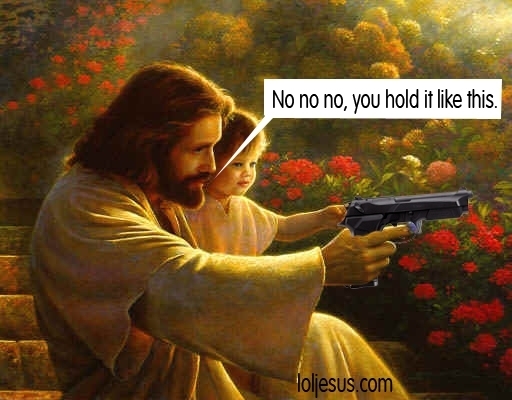 Bring Your Guns to Church? I saw a story on TheBlaze this morning, “Should Churchgoers Be Able to Bring Guns to Houses of Worship?” This is a very thought provoking question and I know people on both sides of this issue. Let’s set aside the political aspect of this thought and look at the underlying question. Should Christian be able to defend themselves? As Americans, this is an obvious yes. It’s written in the constitution that Americans should be able to ‘keep and bear arms’ so they can protect themselves. It is an American right and a natural right. Let’s look at what has happened in the past. There is a great Documentary out called ‘Shooting Back,’ which details how a church in Africa was targeted by Muslims. While the church was in service, the men entered throwing grenades and shooting people. One man was armed and fired back. The men retreated after that. If this man had not been “packing heat,” most if not all of them would have been killed. It is also widely known that Christian persecution throughout the world is rampant and in most cases any caught with a Bible or having a Christian church service are executed. Just look what’s happening in America. In just about a month we’ve had a handful of shootings. These crimes are happening in public places where the assailants know the victims will be unarmed. One happened in a movie theatre, one in a college, one in a sikh temple, and one in a Christian organization. The FRC shooting in Washington D.C. was direct attack on Christians by extreme leftists. Hate crimes against Christians are on the rise. There was a study just released that on more than 600 documented cases of hostility against Christians in the U.S. That’s just the documented ones, who knows how many are undocumented. I’ve said it before, and at the risk of being called someone who “clings to my religion and my guns”, I am going to cling to my religion and my guns! I think that carrying in church is something that you need to decide on yourself and talk with your pastor, priest, or rabbi about. It is not against the law, a church is private property, and I feel that there is enough threat in this world to validate bringing a gun to church. First off I ask that you pray for the victims of the horrendous shooting near the Empire State Building. I ask that you also pray for the shooters family. This man was a coward and a killer, but he might have had a wife and children that are grieving as well. I don’t know if the shootings that happened the last couple weeks are an uncommon occurrence, or if the shootings are happening more often. There is a fews ways to break this down. This is a new trend. It doesn’t happen all the time. I doubt this is the case, but if it is then this will end up either good or bad. It could be the end of these types of shootings, though I doubt it, and maybe we’ll all live in harmony. It could also be the beginning and we see more cowards “taking revenge” on those they think did them wrong. For some reason people nowadays must be more emotional or something, because losing a job or someone picking on you does not justify shooting anyone, or suicide for that matter. This happens all the time and the media just doesn’t report it, because there is more important news to get to the public. I hope this is the case, because let’s face it, people do bad things to other people. Not just shooting them. The amount of shootings that happen everyday, I’m sure, are a lot. There is no need to use this politically. This happens all the time, but the media doesn’t report it because it doesn’t fit their agenda. I hope this is not the case, because it means the media is not doing it’s job. I wouldn’t put it past the leftist media to hide facts and pick and choose their stories to push their progressive liberal agenda though. This would be shameful and in my opinion criminal. Since it’s already being politicized, let’s look at gun control. Manhattan has a ban on handguns, yet this person was able to get a gun and shoot up a bunch of people because he got fired. A year ago. If Manhattan was a city where anyone could conceal carry, most criminals would think twice before robbing or hurting someone. Also, if someone was to go on a rampage, they would be shot down before a lot of people were hurt. Politicians and the media have been politicizing shootings for years to try and sway public opinion on gun control in their favor. Why aren’t we doing the same for those whack jobs that got on a knifing spree. It happens. So let’s not look at these and only see the gun. Let’s look at it for what it really is cowards hurting other people. It looks like most of the injured might have been from the police shooting the suspect. That’s right, it seems the shooter may have only fired one shot, and unfortunately killed his target. He then left and was followed by a construction worker, who notified police about what happened. When confronted the suspect did pull the gun out of his bag and was shot by the police officers. So how many bullets does it take to stop someone? I would say three rounds to the chest will stop most anyone, but police lately seem to have to fire way to many bullets at a suspect. Maybe they need a little more range time, I don’t know. I am not downplaying the stress and risk officers take everyday they are on the street. Just making an observation. 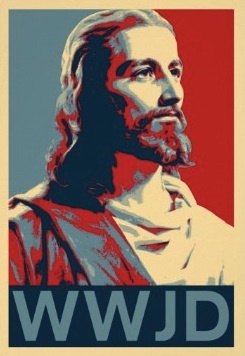 Jesus Supports 50 – 100% Tax Rate? Really? According to TIME author Erika Christakis, Jesus would advocate a 50 – 100% tax rate, and because Jesus’ teachings on wealth are “…nowhere to be found in Ryan’s budget proposal,” Christians should not vote for the Romney/Ryan ticket. Now Jesus did not say because you have two coats give one to the poor man. He told us that you should love your neighbor as yourself. For example, if you are walking down the street and you see someone less fortunate than you shivering in the cold, because they don’t have a coat, blanket, or warm clothing; you should feel enough love for that person that you should give them your coat, blanket, etc. Far from this socialistic idea of I have more than you so to make things fair I need to give you one of mine. The New Black panthers are apparently advocating fire bombing white babies after their born. According to audio from the New Black Panther Radio blacks also need to drag whites from their homes, skin them and hang them, among other horrific things. Even though racism still exists, it is a very small minority of Americans. It is also important to point out that it is spread through all races, not just whites. In other audio New Black Panther Party Chief of Staff Michelle Williams also attacks black conservatives as well as whites. Been away from the site for a while. Gonna try and update more frequently. Well to kick this off, I have a clip from GBTV highlighting the importance of Conservative youth in today world. If you have a GBTV subscription I recommend watching the entire episode of August 7th’s Glenn Beck Program. Dana Loesch guest hosts with special guests; comedian Steven Crowder, Madeleine McAulay, Hannah Giles (fake prostitute in ACORN scandal video), and from MisfitPolitics.co, one of my favorite conservative websites, Brandon Morse. Images shown on Palestinian Authority TV showed a Fatah celebration, not sure what they were celebrating. The images below were taken from “The Blaze” where you can also see the video. This is just another example of how the world is forgetting and re-wrting the dark parts of our history. Except, of course, the parts of history where we make America look bad. Been awhile. How have you been. Just wanted to share this video. For those of us that are Christian, or on the fence, take a look. Like it on Facebook and share it with your friends. Tempers flew and resulted in two occupy Nashville protestors settling their differences with their fists.